Assalamu'alaikum Rainbow Quran Lovers Worldwide, how are you? We hope you are fine and still under protection of Allah Azza wa Jallah. 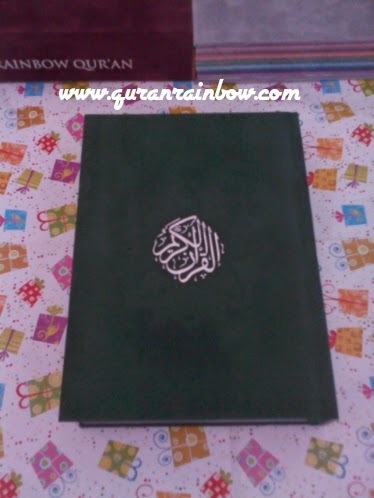 Today We will share about once of Rainbow Quran Limited Edition. 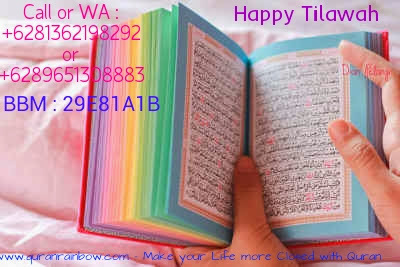 This Design From Quran Rainbow Falistya New Design. 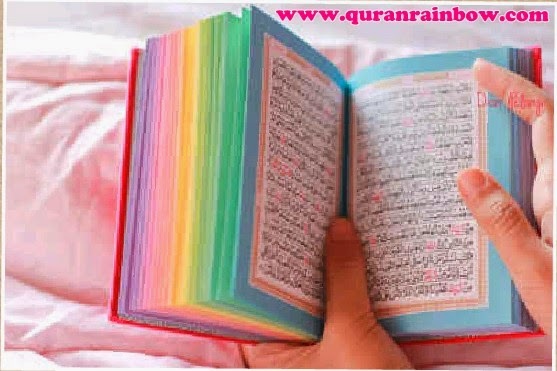 Why it call Rainbow Quran Limited Edition? 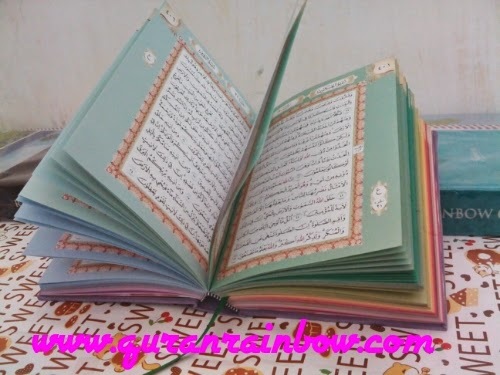 Because several color of Rainbow Quran is publish for limited copy. This colour is once of them. For a year it will publish for limited, so you cant purchase this colour for any time. Regulerly when it publish it will sold out very quickly. 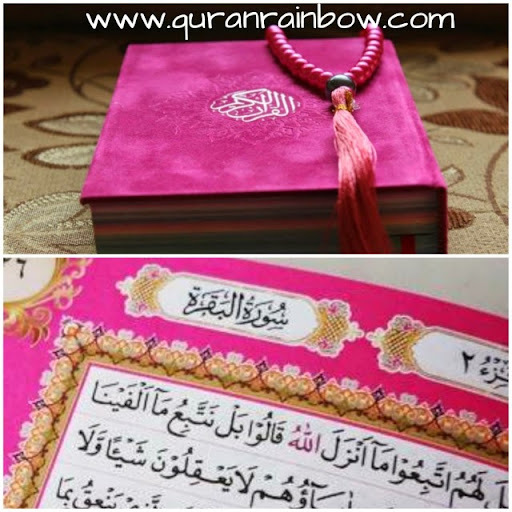 There is Good News for you Rainbow Quran Lovers worldwide. We still keep this color only for you, speciall for our Quran Store visitors when it not available in other store. 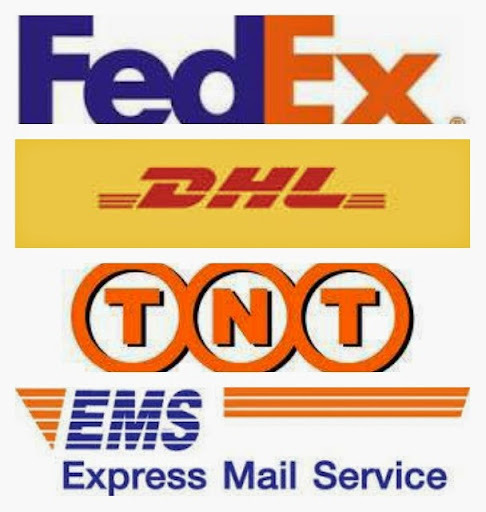 Because we want give exelence service to serve what color you need. 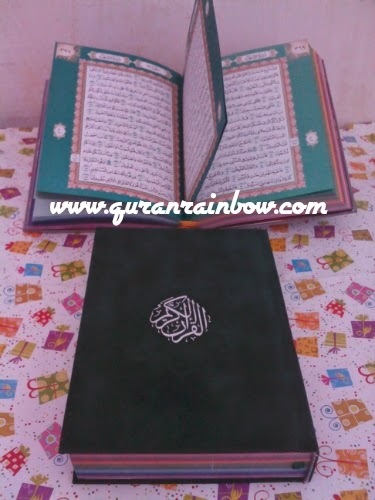 Rainbow Quran green army is dark green color. This color is very good for men or boy because it look like strong. It show your belive (eeman) in your heart. This is are in arabic text only without translate.